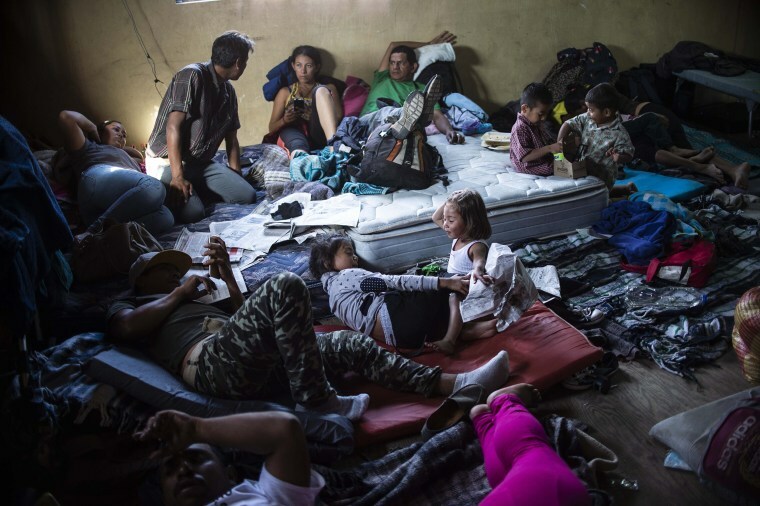 TIJUANA, Mexico — In 2016, when as many as 3,000 Haitians who fled Hurricane Matthew ended up stuck in Tijuana without a legal way north, locals and leaders offered housing, clothing and jobs. Mexico has long been a welcoming crossroads of the Americas with Tijuana its northern beacon. But this time, with an estimated 10,000 Central American migrants aiming to cross the U.S. border, good will is fading and hostility is growing. Tijuana’s conservative mayor, Juan Manuel Gastelum, has complained bitterly about the influx, local news outlets have asked who organized the caravan and social media platforms have spread stories of Central Americans using drugs. “Human rights should be reserved for righteous humans,” Gastelum said last week. Like many places in the world, Tijuana has been infatuated with the kind of neo-nationalism embraced by President Donald Trump, and some political leaders are all too willing to tap it for headlines, Meade said. “Trump has infected the mayor of Tijuana,” said Enrique Morones, founder of Border Angels, a pro-migrant group with members in the U.S. and Mexico. Last Wednesday, not-in-my-backyard residents in the upper-middle-class Playas de Tijuana neighborhood, where some migrants are staying, clashed physically with some of the newcomers. “There are a lot of expressions of xenophobia against them,” said Victor Clark-Alfaro, a professor of Latin American studies at San Diego State University who lives in Tijuana." There’s a division in our society because there are more people who residents don’t want to be here." Santiago Alvarado, 29, watched the pro-migrant news conference with skepticism. “People are afraid to come here,” he said, surveying a beach divided by bollards that mark the border. Alvarado said the caravan was filled with "mara salvatruchas" — MS-13 gang members, a claim discounted by those traveling with the migrants. “This country is not yours,” he said. Meade of the Trans-Border Institute said that while local and state governments might not have the resources to help the migrants, it won’t likely become a humanitarian crisis in Tijuana, as some have predicted. He said there are thousands of job openings, particularly in the manufacturing and construction industries, in Tijuana, a metro area with up to 2 million residents. “Anyone can work in Tijuana right now,” he said. Some in Playas de Tijuana are upset because the caravan inspired Trump to harden border crossings by closing lanes at the Southwest ports of entry, making life miserable for an estimated 30,000 Tijuana residents who work in the United States. He said he’s seen migrants toss unwanted food and discard donated clothing that’s not brand-name. “You have to be humble,” Gonzalez said. But Honduran Freddy Mendez, 33, said he only came to Tijuana to get to the other side. He emphasized he was thankful even though he’s faced “a lot of criticism” here. “Yo soy muy agradecido,” he said — "I am very grateful." The travelers have been on foot for weeks, sometimes for 12 or more hours a day, he said, and that might mean they don't appear to be enthusiastic. “They are very tired,” Castro said. On the beach, families frolicked in the water. The fall sun was brighter than chrome. A mariscos joint blasted a cumbia version of native son Carlos Santana’s “Oye Como Va” on a loudspeaker. The person she was helping was Leonel Lagos, 23, of Honduras, who carried photocopies of pictures of his gutted home, destroyed by gangsters who were trying to shake him down. He was hoping to apply for asylum in the U.S. Asked if it was true that migrants were doing drugs and displaying ungrateful attitudes, Lagos, who appeared to be exhausted as he slumped on the beach, surrounded by the curious, shrugged. “I just got here,” he said. It’s unlikely the migrants will be granted asylum, experts say, but those who make it to the border crossing will be greeted with a sculpture, modeled after Philadelphia’s Robert Indiana LOVE sculpture. It reads TJTQ, for Tijuana Loves You.